2019 is just around the corner, and with the new year comes all the promise of fresh starts, renewed energy and (hopefully) more business. To ensure your office printer can keep up with the new challenges of the year, we’ve put together the hottest printers leading into 2019 that are guaranteed to give you an edge. 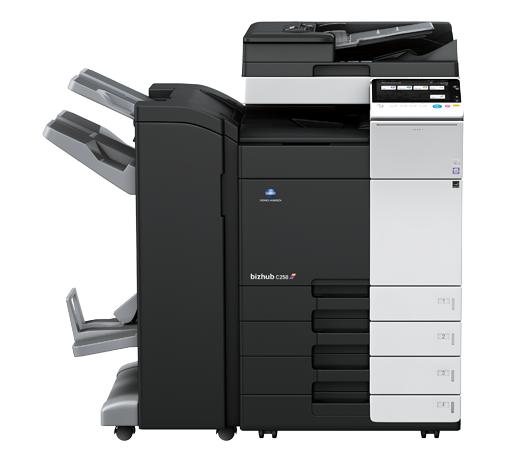 We have focused on Multifunction Printers and Copiers, which offer the greatest range of flexibility and capabilities for all business sizes, small to large. 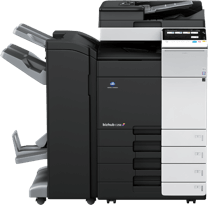 Our best selling multifunction printer and copier, the Konica Minolta bizhub C258 is a truly versatile powerhouse. Featuring a blistering print/copy output of 25 ppm in both colour and black & white, you’ll never be left waiting on that important client document. Original documents can make their way into your workflow faster with dual scanning handles offering up to 160 originals per minute. With an industry leading 6,650 sheet capacity, your C258 will be able to handle anything you can throw at it. Printing and scanning capabilities aside, the bizhub C258 offers a range of exclusive productivity enhancing apps to download from a fully integrated marketplace. Konica Minolta’s intelligent bEST platforms also enables seamless integration with third party applications for every industry from healthcare to education. The latest in wireless connectivity means you’ll always be able to get your digital document into the real world, including AirPrint and Google Cloud Printing capabilities. If you’re looking for high quality image reproduction and colour ranges, the bizhub C258 has got you covered. Featuring professional quality enhanced resolution of 1800 x 600 dpi and up to 4GB of memory, your prints will come out looking razor sharp the first time, every time. 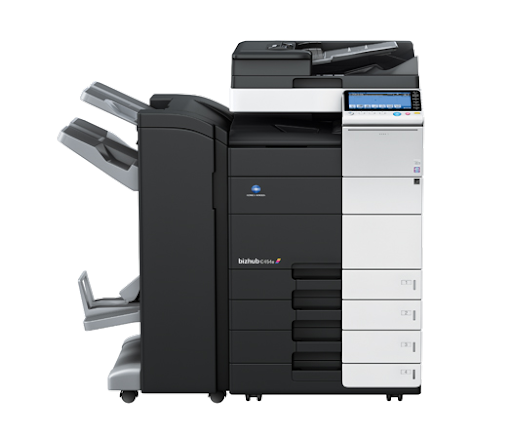 If you are looking for an industry leading printing experience, look no further than the Konica Minolta bizhub C458. The bigger brother of the C258, the C458 features an extremely high capacity 45 ppm output in both colour and black & white. Dual scanning of up to 240 opm allows for original documents to be scanned in as fast as you want. A first print time of 4 seconds for black and white combined with an upgraded GPU means your workflow will never be impacted by slow output again. A truly unique feature of the C458 is the eye-popping 10.1” LCD colour panel with an easy to use navigation system. Workflows are sectioned into grouped functionality, with a new mobile connectivity section providing all wireless printing options you might need. 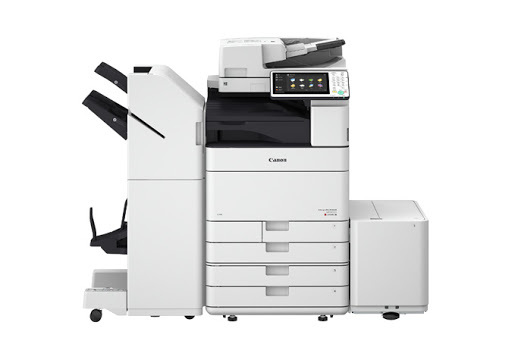 The C458 features all the same bells and whistles of the C258, including all the latest wireless printing standards, 4GB of memory, and access to the exclusive Konica Minolta bEST MarketPlace for productivity improving applications. For those of you with speed and security and the top of your wishlist, the Konica Minolta bizhub C659 is the printer for you. The C659 has been built from the ground up with your business security in mind. Secure network integration supports the latest in wired and wireless protection, including data transfer encryption and HDD overwrite. Have complete control over who has access to stored documents and track who has printed what using advanced user authentication and verification features. A beautiful 10.1” colour LCD touchscreen brings all the productivity enhancing features of the C659 to life. Access to Konica Minolta’s extensive app library and deep integration with their bEST platform allows for complete customization of functionality and core processes. Coupled with 4GB of memory as standard and a record fast 3.7 second first print time and the C659 quickly becomes a must have for any security conscious office space. Toshiba brings its A game with the incredibly feature-packed e-STUDIO5506AC. The sleek all black design is complemented by a large 9” tablet-style touch screen providing access to all your essential productivity features. Complete integration with a range of wireless printing standards, as well as the ability to map any process to a single button, make the e-STUDIO5506AC a truly indispensible addition to any office. 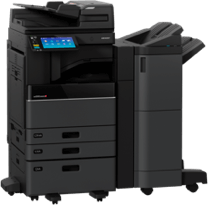 Feel free to print as much and as fast as you want, as the 65 ppm capabilities of the Toshiba will be able to keep up with you at all times. A 4,780 page capacity tray coupled with standard Dual-Scan Document Feeder (DSDF) means original documents can be scanned and copied on the fly when you need them most. Ultra high quality prints are also baked in to the e-STUDIO5506AC with 3,600 x 1,200 dpi resolution as standard. The latest in compression technology also allows for HD PDFs to be shrunk down to 10 percent of their original size without losing image quality. This model also comes EPEAT and Energy Star certified, meaning you will save energy and money whilst also doing your bit for the environment. If there is one thing Canon is known for its image quality and the Canon imageRUNNER ADVANCE C5560i II is no exception. A 10.1” intuitive touchscreen offers smartphone-like capabilities whilst making all functions easy to navigate and visually striking. Direct print from USB, wireless printing, straight from PDF and more make the C5560i II a connectivity powerhouse. Add the 65 ppm printing speed and 160 ipm copying output and you have yourself a productivity booster not to be missed. The 4GB of memory allows for a buttery smooth performance even during the most demanding tasks, and the ability to customize every setting means you can tweak the machine to behave exactly how you would like it to. Keep your sensitive data secure whilst preventing misuse with built in password protection and encryption features as standard. You can even track costs and expenditures across different projects and departments with the intelligent tracking software unique to the C5560i II. 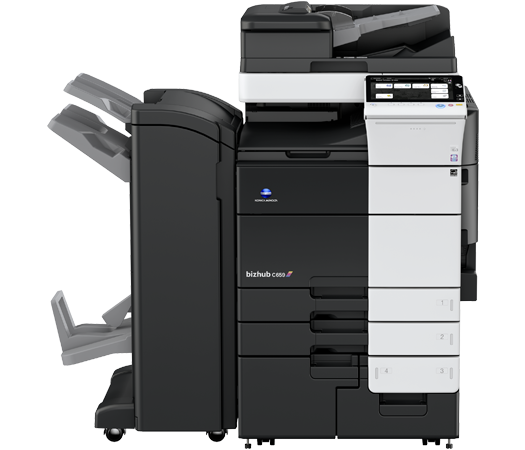 Are you looking for a new multifunction printer and copier to take your productivity to new heights? Contact Busys.ca today and experience the best in the business.